Sound! Music! Dancing! Partying! These are but a few words that come to mind when I think of all the weddings I have had the pleasure of working over the last 10 seasons. When I meet with couples to discuss their wedding they often speak of how excited they are to party and let loose. Who can blame them, their wedding is the biggest celebration of their lives! But let me say this – if you want your wedding reception to be the party you dream of, you have to choose a DJ that can get your guests hopping! A professional DJ is ESSENTIAL to a wedding reception. Your DJ wears many hats. In addition to being the Master of Ceremonies, the DJ must feel the crowd, anticipate when to change things up, deliver pristine sound, mix music, the list goes on! As a photographer, I value working with DJs that are client centered and know how to keep a wedding reception hopping from start to finish. When a DJ is really good – the effects of their music will spill right over into the photography and everything else! How did you get into the business of being a wedding DJ? Started in a Dance Club in college… Upon Graduation I started transitioning into weddings. I ultimately fell in love with it more than the Club scene! Weddings are now 90% of what we do. To be honest… I can’t remember the first one was 20+ years ago! 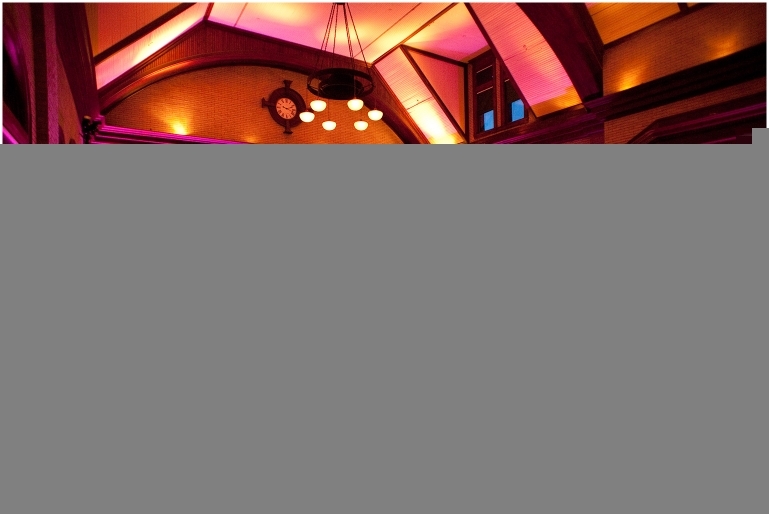 Holy cow – Todd also provides uplighting for receptions! One of my favorites involved the Bride & Groom having the mascot Sir Purr show up during the dancing. He danced and hung out with the guests for about 30 minutes. It was an already hopping reception and that pushed it over the top! 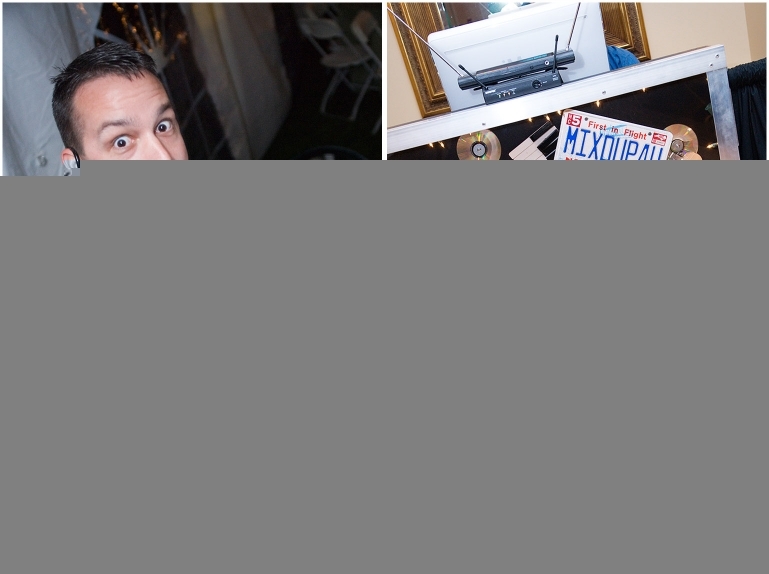 How would you characterize your style as a wedding DJ? Laid Back but not Lazy! I am very comfortable at the helm, making sure that all the vendors are equally informed of our next move. Taking care to involve all of the guests while focusing on the Bride & Groom’s wishes for their special day. What advice would you give a couple who is looking for a wedding DJ? Do your homework, interview THE DJ, not just the DJ Company if they have multiple teams. Require them to let you meet the one you are going to be assigned. Read the reviews & even call or email some of the past clients. Do not base your decision on $$$! I know that may sound a little crazy. Cut out the veggie tray OR even the Champagne toast! You should not choose a DJ that wants the focus on them, but one that supports your day well. Your wedding reception is like in a concert, the DJ is the headliner for your day. They are the final act to the production and one of the most lasting memories your guests will have! Where do you see your business going in the future, what trends do you see? We have grown about as much as we can, meaning there are only so many Saturdays in the year. And because we will not hire other DJ teams it is limited to just Jess & I as day of coordinator & DJ. As far as trends, I see venues starting to require a professional planner OR day Of coordinator for ALL weddings. Too many events get led awry by use of “family friends” or the like trying to be the coordinator!